We, first, extend a special thanks to the many supporters and teachers who have made the work beneficial and possible. World Video Bible School (WVBS) has been privileged to serve the church since 1986 by making teaching and evangelism materials for the church’s use worldwide. Our goal is the same as it has always been, to serve God and His people by doing His will to the best of our ability. We are committed to producing and distributing excellent quality, scripturally sound, Bible study material through video, audio and the written page. We have a genuine desire to glorify the Father, His beloved Son, His word and His blood-bought church and not to glorify ourselves or man! WVBS material has been distributed worldwide through both digital and physical means (see our online store), with many of our most popular resources translated into local languages. Members can check them out of the church’s library for home study. This is especially good for those who are confined at home or in nursing homes. In addition, the library can be made available to other congregations-even the general public! Church leadership can use the DVDs to increase their Bible knowledge, improve their ability to hold fast to the word, convict the gainsayer, and help ensure, through their study, that only sound doctrine is taught in their congregation. Ministers can study a subject before teaching it, or improve their understanding of special subjects like Greek, Logic, Christian Evidences, Homiletics, etc. Bible class teachers can prepare more in-depth studies for their classes. They can increase their own knowledge by studying the tapes at home, or improve their teaching technique by studying the Teacher’s Improvement Seminar series. New Christians, those recently restored, and others can study the course on Fundamentals to build a strong foundation on God’s word and grow as Christians. Ladies can use the tapes for ladies’ Bible classes. Small, remote, and military congregations can use the tapes to better train qualified teachers and to provide more in-depth Bible studies. 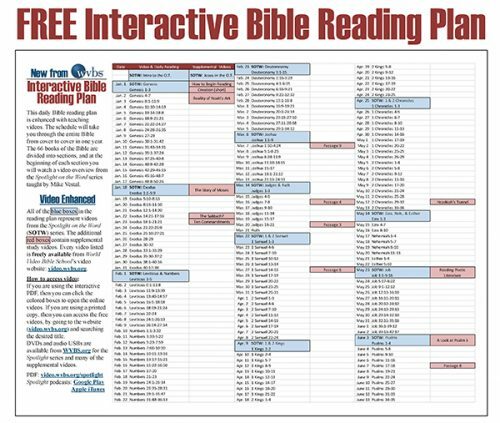 Parents can use the videos to teach their children in family Bible studies at home. This way, the family can study together, even on subjects the parents may not have had time or opportunity to learn themselves. Imagine the benefit gained by families taking 38 minutes each day to study a videotaped lesson on God’s word! Bible training schools, especially overseas, can use the lessons to prepare instructors or to actually do the teaching. Churches can furnish lessons to help establish new preacher training schools overseas without incurring the vast financial burden of hiring a full staff of qualified instructors. Instead, they can purchase the fruit of qualified instructors on DVD that can be viewed over and over for years to come. The Lord’s Church in this country have used WVBS material to start night or weekend schools to encourage more in-depth study of God’s word in the local church and area churches of Christ, to develop and strengthen leaders, to encourage those from the community to study the Bible, and to train men who cannot attend a full-time school of preaching. Evangelistic efforts can be enhanced by studying effective techniques from the lessons on Personal Evangelism. There are even video courses, such as Searching for Truth, that will actually teach your prospect about the church and God’s plan for their salvation!